As the smallest flowering plant on the planet, duckweed’s simplicity translates to surprising nutritional value. Duckweed (Lemnaceae) floats on the surface of water, with no stems and perhaps a couple of tiny roots suspended in the water. The two thallus resemble two small leaves keeping it afloat. It produces a flower rarely, resorting to budding more often as a means of reproduction. It grows in dense mats on still water that are harvested worldwide for animal and fish feed, or even human consumption. Since duckweed is comprised of 86 to 97 percent water, measurements of nutrient composition are taken from the dried product. If duckweed is grown in ideal conditions and harvested regularly, the organic nutrient content will be fairly stable. Depending on its variety and location, it will contain 35 to 45 percent protein by weight, with 5 to 15 percent fiber and 5 percent fat. Duckweed can grow in temperatures ranging from 5 to 33 degrees Celsius (depending on the variety), and readily absorbs excess nutrients such as nitrate, iron, calcium and boron from the surrounding water. Because of its ability to rid water of elements that could build up to toxicity, duckweed is used more often as a means to treat water than as a crop for its nutrient content. Despite its high water content, fresh duckweed has been used with great success as fish feed on farms. It works especially well for top-feeding species of carp. Dried, it has been used as feed or feed supplement for cattle, horses and poultry. For cattle, it provides protein and trace nutrients that straw lacks. Poultry benefits from dry duckweed added to the feed similarly to applications of alfalfa, providing poultry better growth, good health and decent egg-laying capacity. Provided duckweed has been grown under controlled conditions, where microbe and toxin contamination can be kept at minimum, it is an excellent source of nutrition. In Thailand, duckweed is already a part of the local diet. The ratio of low fiber to high protein and nutrient content means that the whole plant can be eaten. The proteins are high in amino acids, making them closer to animal proteins than other plant proteins. In high-calcium water, duckweed forms large quantities of calcium oxalate. In small doses, such as those found in spinach, calcium oxalate is not problematic. But it is not a digestible form of calcium, and can be toxic in large doses. 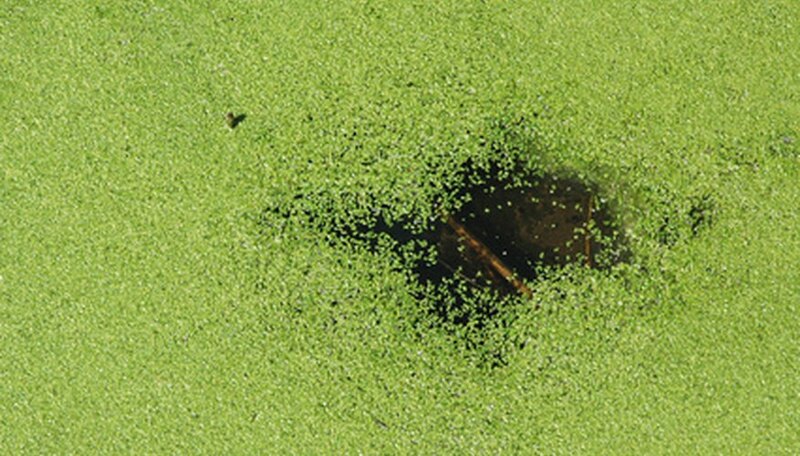 This problem is easily avoided by growing duckweed in water with low calcium quantities. Commercially grown duckweed takes this into consideration, so it is generally only home-grown duckweed that must be monitored.